When you need to replace light bulbs, the first thing you will notice when you browse the light bulb aisle is incandescent bulbs are no longer available. These are the light bulbs many of us are the most familiar with since we grew up with them. They came in various shapes and sizes, as well as wattage ratings. However, back in 2007, in efforts to promote a greener environment and conserve energy, Congress implemented steps to slowly phase these out. The last incandescent bulbs were sold in 2014, so, unless you have a stash hidden away, you will need to choose from one of the three different kinds of light bulbs on the market today. LEDs are the newest type of light bulb, as the technology behind them has drastically improved over the past several years. Today, LEDs are just as powerful in illuminating entire rooms in your home and have been estimated to last as long as 20 years! Plus, one of the main benefits of LEDs over the other two light bulb options is they are designed to work with dimmers and dimmer systems. Furthermore, some styles offer a wide array of colors from red and green to blue and white lighting options in a single bulb. Last, wattages are no longer used to rate light bulbs. Fortunately, light bulb manufacturers include a lumens-to-wattage equivalency rating on their packages so you can easily match the required wattage to the right size bulb. Fluorescent bulbs have been around for quite some time, and their compact counterparts have been for the past few decades. Full-sized fluorescent lighting is typically used in the overhead lights you would find in your garage or workshop because they provide brighter light. Some people also use the full-sized bulbs in overhead lighting in the kitchen. CFLs are the small spiral-shaped bulbs you can use in lamps, ceiling fan light kits, and overhead lights. 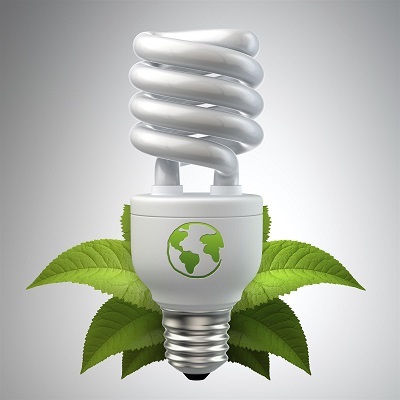 While they do use less energy than traditional incandescent bulbs, you do need to take care when handling them, as they contain trace amounts of mercury. As such, when one burns out, you cannot merely toss it into the trash but, rather, have to take it to a recycling center. Yet, modern CFLs and full-sized fluorescents are estimated to last around 10,000 total hours, which can be around ten years if you only operate them for about three hours each day. The third type of light bulb you will discover are halogens. Halogens burn brighter than a comparable incandescent bulb, so you may want to step down the wattage equivalent when selecting bulbs. For instance, if you need to replace a 60-watt incandescent and want to use a halogen bulb, you may want to try to 40-watt equivalent halogen bulb first, although halogens typically only last for about 1,000 hours of use. If you have further questions or need help selecting replacement light bulbs, please feel free to stop by your nearest Brinkmann’s Hardware location or call us at 631-567-6879 today!